May 16, 2012: During ACM SIGMOD/PODS 2012, we will use the social network hosted at the Hive Open Research Network http://hive.asu.edu/sigmod12/ and its mobile apps for general communication and interactions. May 11, 2012: Information about the video streaming schedule is now available. May 2, 2012: PDF version of the program booklet is now available. May 2, 2012: We invite the workshop authors who have registered to the SIGMOD/PODS conference to present their works at the new "SIGMOD Plenary Poster Session for Workshop Papers". To help with the planning, workshop authors who plan to present their works at this event are invited to confirm their participation at the workshop authors survey site, by May 8th. April 25, 2012: The schedule at a glance for SIGMOD/PODS 2012 is available at http://www.sigmod.org/2012/schedglance.shtml. April 25, 2012: The PODS program is available at http://www.sigmod.org/2012/program_pods.shtml. April 25, 2012: The SIGMOD program is available at http://www.sigmod.org/2012/program_sigmod.shtml. April 21, 2012: The Hyatt Regency is now booked close to its limit and the availability of the rooms fluctuate from day to day. For those of attendees who are having difficulty reserving rooms at Hyatt, we have made an arrangement with the Gainey Suites Hotel (at a 10 minute walking distance). To reserve a room at the Gainey Suites, please call (480) 922-6969 or (800) 970-4666 and give the code “SIGMOD/PODS 2012. April 20, 2012: IMPORTANT NOTE - Paper assignments to the Plenary Poster Sessions have been revised. Please check the revised program for the new assignments. April 20, 2012: A new FAQ page for sponsors, exhibitors, and publishers is now available. April 19, 2012: In response to requests from several workshops, early registration deadline is extended to April 23rd (Monday) evening. April 19, 2012: The room block at the conference hotel is about to be sold out. We are working on increasing the block size. We will give more information about this shortly. April 11, 2012: The workshops program is available at http://www.sigmod.org/2012/workshop_program.shtml. April 7, 2012: We set up a new ACM SIGMOD/PODS 2012 Facebook community page to hear your ideas and suggestions as we are getting ready for the conference. April 7, 2012: You can use our new Facebook community page for finding roommates for sharing hotel accommodations. April 7, 2012: The transportation information for SIGMOD/PODS 2012 is available at http://www.sigmod.org/2012/transportation.shtml. April 6, 2012: SIGMOD and PODS preliminary programs are now available. April 5, 2012: The early registration date for the conference is April 19, 2012. March 30, 2012: Reminder: the cutoff date for the reduced-cost hotel room reservations is April 19, 2012. Reservation requests after that date will be honored subject to room availability. March 28, 2012: FAQ is available. March 15, 2012: The registration site for SIGMOD/PODS 2012 is now online. To register, visit http://regonline.com/sigmod2012. March 6, 2012: Do you have a paper at SIGMOD 2012? Do you want the official "Reproducible/Sharable" labels? See http://www.sigmod.org/2012/reproducibility.shtml. March 6, 2012: SIGMOD 2012 student travel scholarships announced. To apply, visit http://www.sigmod.org/2012/grants3.shtml. March 2, 2012: Hotel reservation site for SIGMOD/PODS 2012 is now online! Check out http://www.sigmod.org/2012/accommodation.shtml. March 2, 2012: Lists of accepted SIGMOD 2012 demonstrations (see http://www.sigmod.org/2012/demo_list.shtml) and tutorials (see http://www.sigmod.org/2012/tut_list.shtml) are published. 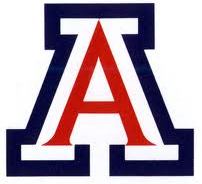 The ACM SIGMOD/PODS Conference 2012 will be held in the city of Scottsdale, Arizona, USA on May 20-24, 2012. See http://www.sigmod.org/2012/.